At City Hall: I served as one of the eight Municipal Councillors in the City of Côte Saint-Luc from 1990-2001 and 2005-2017. I briefly served as Mayor of Cote Saint-Luc in November and December 2015 when the sitting mayor, Anthony Housefather was elected to parliament. I was appointed by successive mayors to oversee the Public Safety dossiers, Public Affairs, Communications and Information Technology as well as the all-important Emergency Preparedness portfolio, Traffic and more. 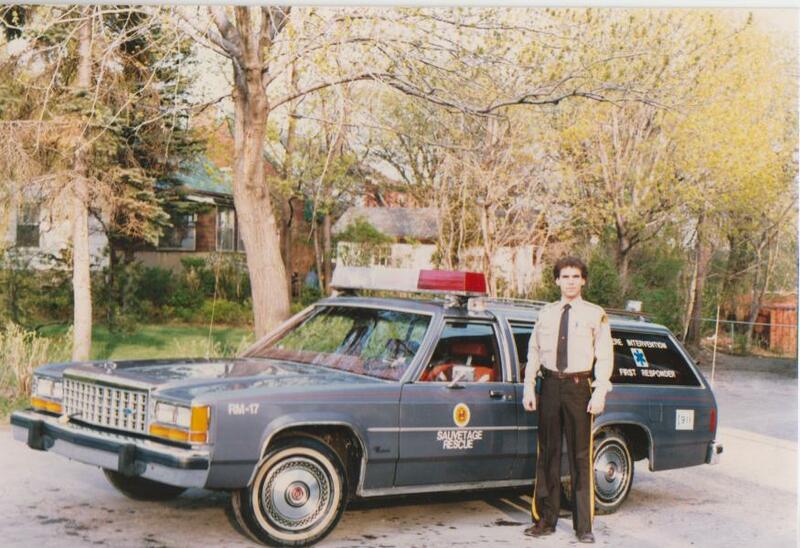 I first ran for office in a by-election in District 6 in 1989 following the death of longtime Councillor Nathan Shuster. Five candidates ran that year. With a record turnout for a by-election, Suburban Newspaper owner Avi Socaszevski beat me by just 13 votes. The day before the election the Suburban ran a special Saturday edition of the paper carrying a large banner proclaiming Avi had secured a deal that would see CP Rail move out of the St. Luc Yards. Three decades later we’re still waiting for CP to move out! One year later, in 1990, with the support of three of my four former opponents, I was elected by acclamation to my first term in District 6. I was acclaimed yet again in 1994 and 1998, until the forced mega-mergers into Montreal in 2002. I continued to volunteer in overseeing Emergency Preparedness at City Hall during the Borough/merged years of 2002-2005 and worked diligently as one of the leaders for demerger. I was re-elected by acclamation for the fourth time in 2005. In November 2009 I was re-elected to a fifth term following a bitter campaign. Yet again, I was re-acclaimed to Council in 2013 for a sixth term. Living my entire life in Cote Saint-Luc (on Cork Avenue for nearly three decades and volunteering here ever since high school days) has given me a great understanding of our local needs and expectations. I was the youngest member of City Council during my first three terms yet amassed vast experience with 30 years of involvement on the local scene. On Committees: I have served on nearly every CSL committee (see list below). I launched the Emergency Services Committee which I have chaired throughout my terms in office. In the mid 90s, I recommended the creation of a Communications Committee – which led to our municipal newsletter, The Côte Saint-Luc Courier. The Côte Saint-Luc/Hampstead Committee was set up on my recommendation and met from 1993-1996 forming closer links with our neighbouring town. 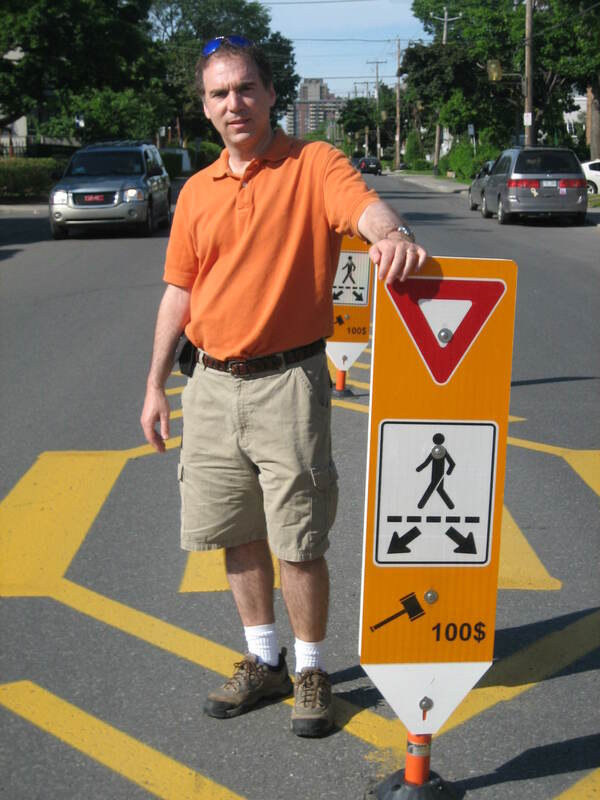 From 2006 to 2013 I chaired the Transportation committee and have championed new crosswalk safety initiatives making our streets and school zones safer. I also proposed the creation of the CSL Cycles network which started in 2010, leading to bike lanes and routes and cycle safety signs. I proposed median crosswalk signs that have made crossing the road safer in CSL. These were the first in the Montreal region. In action: I was actively involved with the Emergency Medical Services (and formerly Emergency Measures Organization) for over 30 years. I am most proud of introducing the first municipal legislation in Canada requiring bike helmets in 1992. The fight for province-wide legislation has continued ever since. 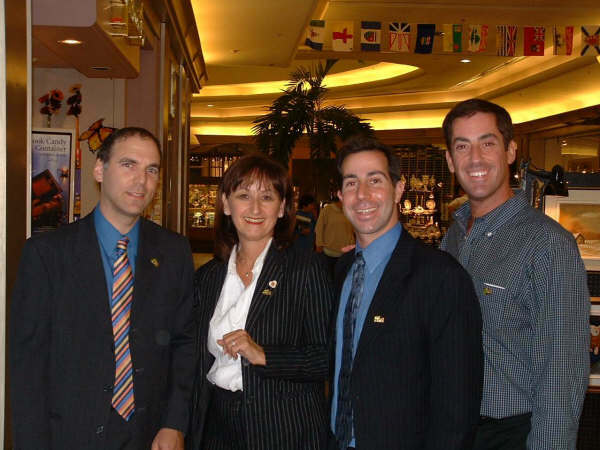 I co-chaired the CSL Demerger Committee with Anthony Housefather, Mitchell Brownstein and Ruth Kovac and we succeeded in getting our city back. Since demerger, I fought to keep our Police and Fire Stations in CSL and together with Anthony Housefather and former MNA Lawrence Bergman saved our life-saving EMS from being taken away by the Montreal Fire Department. I conceived of and launched the volunteer Citizens on Patrol (vCOP) program in 2006. This is an extraordinary group of over 80 local volunteers that has helped to ensure that CSL continues to be the safest community on the island. In crisis: I have assumed leadership roles in the ’98 Ice Storm, major floods, fires, disaster planning and response. I have served as spokesman for the city and assisted in emergency coordination of all services, media and volunteers. I chaired the Emergency Services and Emergency Preparedness committees for nearly three decades. Kids and greenspace: I successfully advocated for more investment in our playgrounds, expansion of our CSL Cycles network for safer cycling and spoke loudly for preservation of Meadowbrook as an important green space. Slowing down traffic on our streets. I worked with our experts to find the right traffic calming measures: I got the ball rolling with painted lines to visually narrow the roadway as well as bollards to slow down cars, and bumped out sidewalks to make our streets safer to cross and for children at play. Humps are sometimes necessary too. I brought the idea of bike lanes to CSL for safer cycling. In 2017 I launched the CSL Historical Society to help preserve our past and educate our youth. There’s much work to do in this fascinating program. I proposed to help our older and vulnerable residents by having Public Works clear the snow pile blocking driveways to ease the burden on our seniors and those with medical conditions. Parking on streets with duplexes is challenging; I proposed painting lines to maximize the number of cars that can be parked at the curb. At work, in the community: Since 2001 I have been proud to serve as the Director of Public Affairs and Communications for the Jewish General Hospital. In 2015, with the reform of the healthcare system across Quebec, I began serving as head of communications for CIUSSS West-Central Montreal (CIUSSS Centre-Ouest de l’Ile de Montreal, the Integrated Health and Social Service University Centre for West-Central Montreal) which administers the JGH, Maimonides, Jewish Eldercare, Miriam Home, Mount Sinai, the former CSSS Cavendish and de la Montagne, MAB-Mackay, Constance Lethbridge Rehabilitation Centre, Julius Richardson Rehabiliutation Centre, Father Dowd, Saint-Andrew, Saint Margaret, PRAIDA (the regional health and social services centre for refugees and asylum seekers as well as the Info-Santé and Info-Sociale help lines at 811. Previously, I served as Executive Director of Alliance Quebec and Director of the Young Adult Division/Young Leadership Campaign/Jewish Chamber of Commerce with Federation CJA (The Federation of Jewish Community Services of Montreal). As a community professional I strive to build a strong foundation for the future of our community. My work is very rewarding and it is a genuine privilege for me to contribute in this way. As a safety oriented young adult: I joined the Canadian Ski Patrol as a teenager and enjoyed the experience so much that I followed courses and began volunteering at Cote Saint-Luc Emergency Measures Organization (now EMS). I became certified as an Emergency Medical Technician and worked for the Urgences Santé ambulance service since my CEGEP and university days. I was fortunate to serve there for 18 years. At school: I graduated from Jewish Peretz and Peoples Schools (JPPS), Bialik High School, Vanier College (CEGEP) and McGill University with a BA in Industrial Relations. As a volunteer: I still find time to serve the community in many ways. 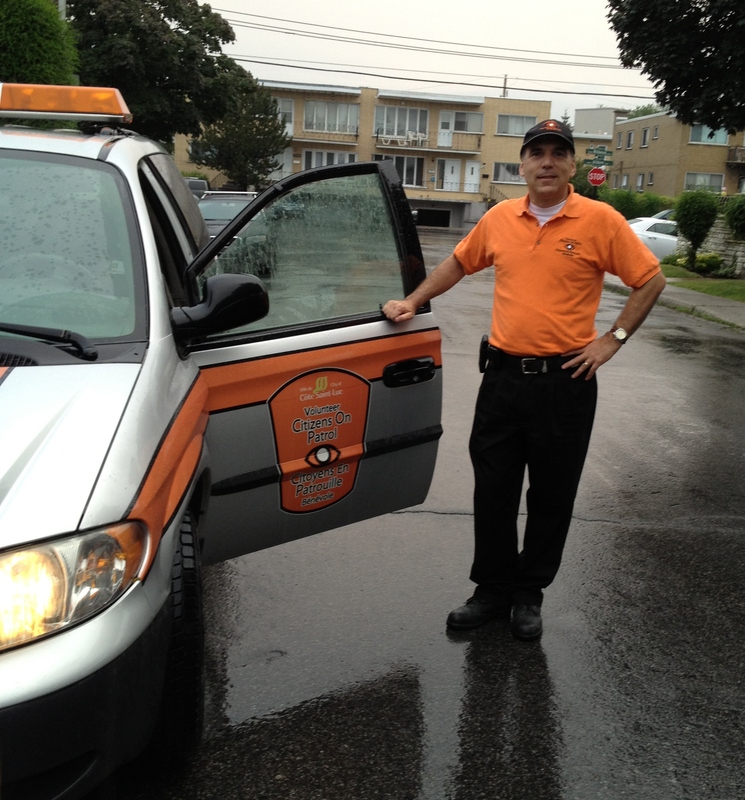 I volunteer with the city’s Citizens on Patrol (vCOP). 2009 marked my 30th year of involvement with the city’s Emergency Medical Services and in 2014 I was honoured with the Governor General’s Award for Exemplary Services in Emergency Medical Services. I served on the board of directors of Agence Ometz following the merger of JIAS (where I also served on the board), JEM and JFS. In 2018 I was honoured to be awarded the D’Arcy McGee Medal of Citizenship from the Quebec National Assembly. At home: I am married to Dr. Judy Hagshi, a wonderful Family Physician who follows pregnancies and delivers babies at the Jewish General Hospital. She also teaches medical residents at the JGH Herzl Family Practice Centre, and screens patients in the pre-surgical clinic. Judy served on the board at the Jewish Eldercare Centre and was very active with the JEM Sheltered Workshop and co-chaired Combined Jewish Appeal’s Medical Division as well as Super Sunday. In 2009 she was awarded the Plotnick Young Leadership Award at Federation CJA. We have two beautiful girls, Nicole and Nathalie and a wonderful boy, Jeremy. Our family is a wonderful blend of Sephardi (from Morocco and Yemen via Israel) and Ashkenazi cultures making for tantalizing cuisine, great music and interesting customs. I am the youngest son of Phyllis and George Nashen. My mother is a talented artist and my father is a very active retiree having dedicated his career in establishing an important manufacturing firm in the clothing industry (Nash Shirt Limited and Glenn Jay Industries). 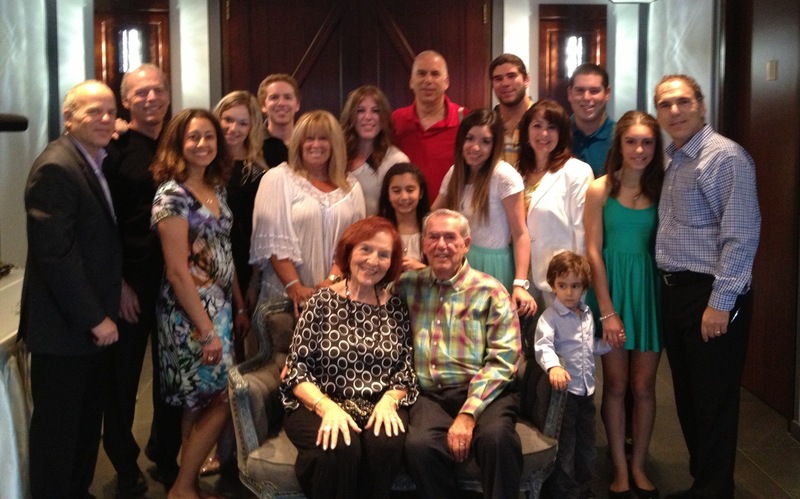 The Nashen Family celebrate George’s 90th and Phyllis 85th birthdays. June 2013. My eldest brother is Stan Nashen (married to Franci Niznik, children: Jordan and Danielle). My brother Barry is a longtime partner with my brother Jeff (married to Cheryl Carpman, children: Blair, Michael and Cory) as IBM Business Partners at Nashen + Nashen Technologies. Now you know a little more about me, my family and my professional responsibilities. Please explore over one thousand articles and blog posts about the City of Cote Saint-Luc and my own involvement using the categories listed in this blog, chronologically by month or by searching whatever interests you. Please subscribe to updates by adding your email address or by following me on Twitter or Facebook.